368 individuals and 58 wagons were in the company when it began its journey from the outfitting post at Mormon Grove, Kansas (Near Atchison). Jacob F. Secrist died on July 2 and Noah T. Guymon became captain of the company. C. W. S., "Days of Ox Teams," Deseret Semi-weekly News , 14 June 1887, 2. "Correspondence," St. Louis Luminary, 6 October 1855, 182. Deseret News [Weekly], 12 Sep. 1855, 216. Deseret News [Weekly], 22 Aug. 1855, 191. Deseret News [Weekly], 22 Aug. 1855, 192. Faulkner, James, Letter, 1856 Mar. 1, to Dear Friends, Salt Lake City [Utah]. "From Our Kansas Correspondent," The Mormon, 28 July 1855, 3. "From the Plains," New York Daily Times, 3 July 1855. Hansen, Peter Olsen, Journal [ca. 1876], 121-24. Hindley, John and John Parson, [Letter to Milo Andrus], St. Louis Luminary, 8 September 1855, 166. "Immigration List," Deseret News, 12 September 1855, 214. "Interesting From the Plains," New York Daily Times, 31 July 1855. "Interesting from the Elders," St. Louis Luminary, 30 June 1855, 126. Johnson, Hans I. (Mrs.) [Inger K.], Autobiography , 11-12. Johnson, John, [Interview], in "Utah Pioneer Biographies," 44 vols., 16:39-40. Neilson, Peter. Family record, 11. Nielsen, K. N. (Mrs.), Sketch from the journal of Mrs. K. N. Nielsen, 23-26, in Caroline Nielsen, Group of Nielsen biographies and account of Taylor ancestors, BX 8670 .M82 vol. 10. Olsen, Annie Cathrine Christensen, [Interview], in "Utah Pioneer Biographies," 44 vols., 22:18-20. "Our Immigration," Deseret News [Weekly], 8 August 1855, 172. Smith, Charles, [Letter to Erastus Snow], St. Louis Luminary , 1 Sep. 1855, 162. Smith, Charles, Reminiscences and diary, 1842 Mar.-1905 June, 31-42, 333. Smith, George A. "To the Editor of the Luminary," St. Louis Luminary, 10 November 1855, 199. Snow, Erastus. "Our Correspondence," Deseret News, 5 September 1855, 8. "The Other Side of the Question," The Mormon, 14 Apr. 1855, 2. "The Point of Outfit for Our Spring Emigration," St. Louis Luminary, 31 Mar. 1855, 74. "This Years Immigration," Deseret News, 8 August 1855, 5. "Visit of the Editor to the Camps at Atchison," The Mormon, 23 June 1855, 2. "Western Improvements," The Mormon, 9 June 1855, 3. For a 19th century traveler on the Great Plains to be buried in a tin coffin was unusual. Most deceased emigrants were simply wrapped in a blanket or some other cloth (if even that) before being interred. Jacob F. Secrist was an exception. 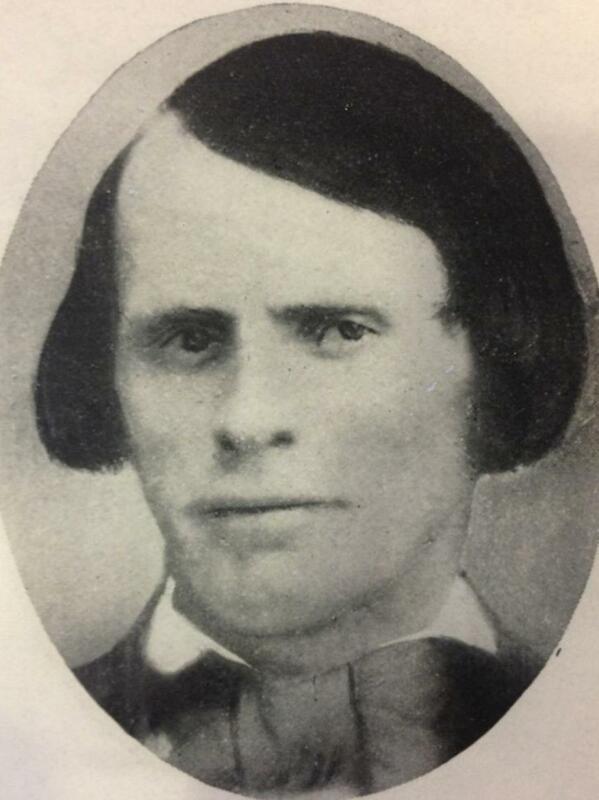 Secrist, a Mormon missionary who was returning from Germany, was captain of a large wagon train consisting of English and Danish emigrants who come to America by different routes. The Danes, led by Elder Peter Olsen Hansen, left their homeland on November 24, 1854, aboard the steamer Cimbria. Because of stormy weather, they did not reach the Humber River in England until December 24. The following day they took rail cars to Liverpool. There, they boarded the James Nesmith and sailed for America, arriving in New Orleans on February 23. Two steamboats, the Moses Greenwood and the Oceana, carried these travelers to St. Louis, where they arrived March 7. Those who could not immediately afford passage to Salt Lake City took the steamboat Polar Star to Weston, where they sought employment. The remainder of the passengers boarded the Clara and journeyed to Leavenworth, a new settlement some 35 miles below Atchison, Kansas Territory. There, the wayfarers waited two months for draft animals to arrive (probably because Kansas and Nebraska Territories had just been opened for settlement, creating a population influx and a high demand for cattle). Meanwhile, Elder Erick G. M. Hogan (a returning missionary from Norway) had escorted another 28 Danish Saints to Leavenworth by a different route (via Hamburg, from St. Louis to Atchison aboard the steamboat Admiral) on March 31. About 20 of the Danes died at Leavenworth-most from scurvy (cause: prolonged vitamin C deficiency; symptoms: progressive bodily weakness, spongy and inflamed gums, loose teeth, swollen and tender joints, degraded capillaries, ruptured blood vessels, and hemorrhage). Fearing that cholera might break out among the emigrants, the citizens of Leavenworth demanded that they relocate their camp. To do so, Elder Hansen had to hire a local ox team at $1.00 per wagon. Shortly after this transfer, cholera did attack the Mormon camp, immediately killing four people. When the emigrants' cattle finally did arrive, new problems arose. The animals were unbroken and often mismatched, and the Danes had no idea how to manage them. Finally, by splitting the camp and moving one half at a time, the company was able to reach Atchison on May 22. 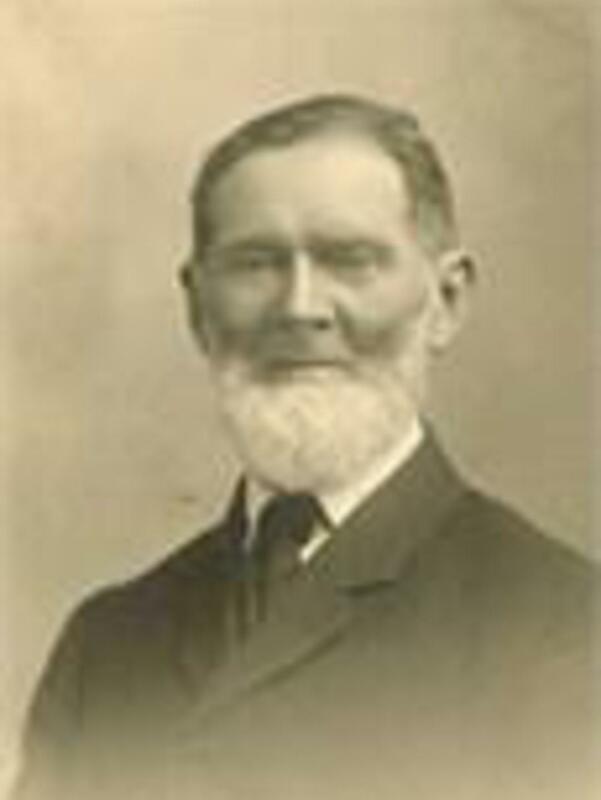 The English division of Secrist's emigrant train came to America under the leadership of Elder William Glover. They sailed from Liverpool on March 31, 1855, aboard the Juventa. Among the passengers was Elder Noah T. Guymon (soon to succeed Secrist as company captain). The Juventa had a remarkably placid voyage and no one died. On May 5, the passengers landed at Philadelphia, then traveled to Pittsburgh by rail. There, some 200 of them took the steamboat Equinox down the Ohio River to St. Louis and up the Missouri River to Atchison, arriving there on May 28. It was here that a number of the English Saints contracted cholera and died. At Mormon Grove (the Mormon outfitting point near Atchison), the Englishmen camped east of the road, while the Danes occupied the west side. Combined, their company included 368 emigrants, 51 wagons (30 of these belonging to Danes). The party headed west on June 13 amid apprehensions caused by rumors of Indian attacks against earlier travelers. Secrist and company was 50 miles west of Mormon Grove on June 17. By June 24 it had become obvious to all concerned that some of the wagons were overloaded; others were not. Owners of the latter agreed to carry excess baggage at the rate of $11.00 per 100 pounds. Together with the Livingston-Kinkead merchant train, the Danes and the English camped 8 miles west of the Big Blue River on June 26. When a government wagon train passed too close to the Mormon party, it spooked the emigrant's horses, causing them to stampede. Captain Secrist and a few companions set out to recover the runaways but during their search the captain fell victim to cholera. Borrowing a buggy from the Blair/Stevenson emigrant company, Secrist's companions took him to their camp on Turkey Creek. The captain died July 2 at Ketchem's Creek between Forts Kearny and Leavenworth. Wishing to transport the captain's remains to Salt Lake City for interment, Secrist's friends obtained tin from a merchant and had Edward Stevenson, a tinsmith, fashion a coffin. But it soon became obvious that the casket was not airtight. Therefore, Captain Secrist's remains were laid to rest on the banks of the Little Blue River. Meanwhile, measles had attacked the emigrant children and an elder's council had appointed Noah T. Guymon as the new captain. On July 1, members of the party helped search for a missing member of the Blair/Stevenson train, but the man was never found. Cattle belonging to the English emigrants stampeded. Six wagons overturned; one ox and an elderly woman were hurt. Cheyenne Indians visited the camp and on the following day, the train camped for the last time on the Little Blue. Later, the company passed Fort Kearny and slowly followed the south bank of the Platte River while waiting for other trains to catch up. They felt that concentration of forces would make the travelers more formidable to hostile Indians. This precaution proved to be unnecessary. Although these travelers "saw scores of Indians, all were very civil, very much for shaking hands." On July 15, Guymon and company passed Edward Stevenson's Texan company and, on the 20th, the Danes and Englishmen forded the South Fork of the Platte. Reaching Ash Hollow on July 21, they stopped to gather currants and cherries. In time, they arrived at Fort Laramie. As the train traversed the Black Hills, feed for the animals grew scarce and the cattle grew weak. Apparently, earlier trains had similar difficulties, for the stench of dead cattle troubled the emigrants for several days. West of present-day Casper, Wyoming, the party found a new route around "the Poison Spring" (Mineral Spring). They camped at Devil's Gate. At the Green River, they found the ground covered with saleratus (either potassium bicarbonate or sodium bicarbonate, both used as leavening agents). The water in this river was so high that the cattle nearly drowned. In a "small valley in the mountains" members of the company "gathered a small quantity of tar that was sprung up." Because the animals had continued to fail, the company had difficulty getting over Big Mountain. Finally, they camped in Emigration Canyon on September 6 and entered Salt Lake City the next day.